Haftime usually schools me to what’s new and hot in music. But she has like, a life, or something. Had no time for me today. So I’m sitting here this morning, bumping the same song on repeat that I’ve been listening to all weekend. I know Haftime wouldn’t approve. But this is MY new music monday since she left me stranded. Check out the conversation I had with myself about this new song I’m LOVING. ALIYA: So, have you head Whitney’s new song!! ASK: Which one? That whack Dianne Warren ballad? Blech! 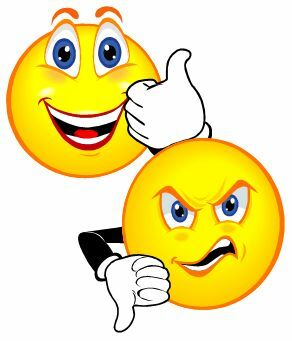 Two thumbs down. Hated it! ASK: I hate that song. Her voice sounds as weak as the premise. You didn’t know your own strength for what exactly? How NOT to reach the right notes? How NOT to sound like you dragged on a Newport before you hit the studio? ALIYA: Calm down, ASK. That’s not the song I’m talking about. It’s a new one. ALIYA: …was her first grade teacher. I know. ASK: Exactly. And my nephew attends the…. ALIYA: …Whitney Houston Academy in East Orange. I know. That must have been weird for the kids. ASK: What do you mean? ALIYA: You know, how does it feel to go to a school named after someone who is photographed walking to the gas station in a ratty mink coat buying cigarettes in the middle of the night? ASK: Why would you post that picture on my blog!? ALIYA: It’s my blog too. ASK: I’m deleting that before I hit Publish. ALIYA: I’ll go back in and put it back. ALIYA: You won’t hate me when you listen to Whitney’s new song. This guy B. Scott has it on his blog. Click HERE and check it out. ASK: Oh my god. This opening chord. I’m feeling like I’m at the Zanzibar in 1988. (Not that I was ever allowed to go to the Zanzibar. But if we were…this is what it would feel like. I assume). Anyway! Her voice is pristine! This sounds a little like disco. ASK: I LOVE. LOVE. LOVE. ALIYA: I hear Swizz and Alicia are behind this. ALIYA: It fits Whitney. Not trying too hard to be down with the cool kids. It’s totally in her lane. ASK: Totally!! Love the breakdown with the handclaps. I can’t stop dancing! ALIYA: Isn’t it awesome? Did I do good? ASK: Good? You did great!!! ASK: Let’s not get carried away. I would have heard this song eventually. Haftime puts me on to the edgy avant garde stuff that me and you never get around to checking out because we’re old. ALIYA: True. Well, glad I could pitch in for Haftime today. ASK: Me too. I LOVE THIS SONG. ALIYA: I hear you have edits due back on your novel in like, a week. Think you might want to get to work on that? ASK: I was hoping you could take care of that for me. Dear readers: Have you heard Whitney’s new song? DO YOU NOT LOVE IT!!! Okay, if you don’t love it, I’m not your friend. Anymore ever. This song makes me feel really happy. But I’m biased. I’m from East Orange and I rep hard for Nippy. Her brother and I went to the same high school, (10 years apart. but whatever). I know her peoples. Stand up Jersey! This entry was posted on August 24, 2009 at 11:54 am and is filed under Haftime's New Music Monday, Uncategorized. You can follow any responses to this entry through the RSS 2.0 feed. You can leave a response, or trackback from your own site. First your back and forth with yourself is HILARIOUS! Like really! I’m still laughing lol. Mkay. I love the song. I agree with you that she’s right in her lane. I can soooo tell that it’s written by Alicia. This sounds like something I could hear her singing to. But this song makes me happy. The vocals are strong and it’s definite ‘head nod’ material. Team Nippy all the way! Oh and I HATE the title track I look to you. It sounds like she woke up one morning and sang it with the sleep crust still in her eye. WHOMP! On the fence with this one Aliya. I am a HUGE Whitney fan but I think this is not her style. Maybe if I listen to it a LOT more, it will grow on me. Rep-ing EO all the way!!! I like the song and I enjoy cleaning to it. 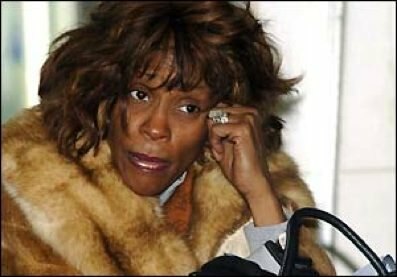 I’m pulling for Whitney’s comeback, but I’m not crazy about any of her new songs so far. 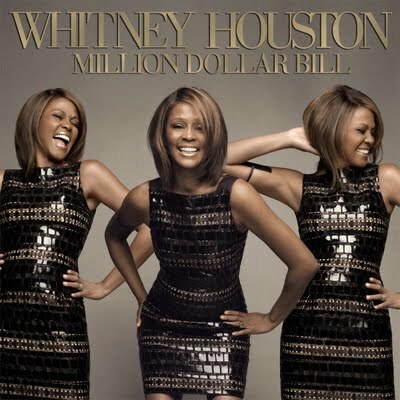 Million Dollar Bill might grow on me, but right now I can’t say I’m crazy about it. Ummm, sorry. Don’t love it. It sounds disco-y, ’80s pop-y. I don’t know music terminology, but the beginning of the chorus sounds stacco and very elementary. It’s like watching a fly b-boy do a two-step. You know he has dope moves; why isn’t he showing them. (Maybe that’s not a fair analogy given all Whitney’s gone through, but still, that’s how I see it.) I think the quality of her voice is nice on this song, but I’m not really feeling the arrangement, or production, or lyrics. I’m very glad she’s back, though. Interested to hear the rest of the album.